I paused and wondered where a 7-year-old came up with such a thoughtful bit of wisdom, but I forgot to ask her about it. “Aha”, I thought. That’s where my Annie got that wisdom. And I was so impressed that this thought had been impressed in my daughter’s consciousness so distinctly. 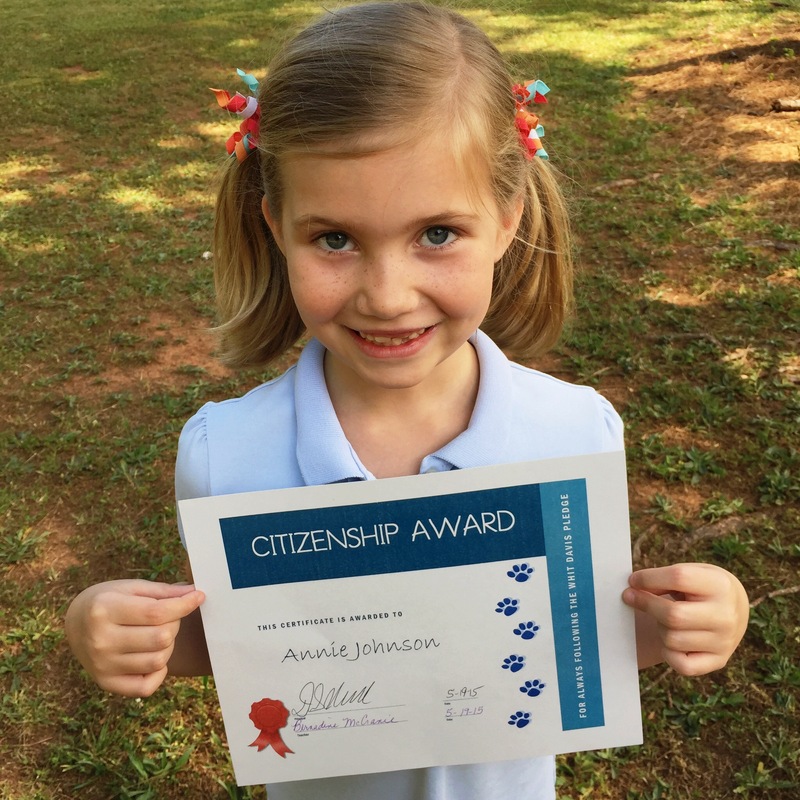 And then Ms. McCranie announced that the Citizenship Award for her class was being awarded to Annie. Her mom and sister and I are entitled to smirk at this slightly, knowing what it’s like to live with her occasionally feisty and fiery moods. 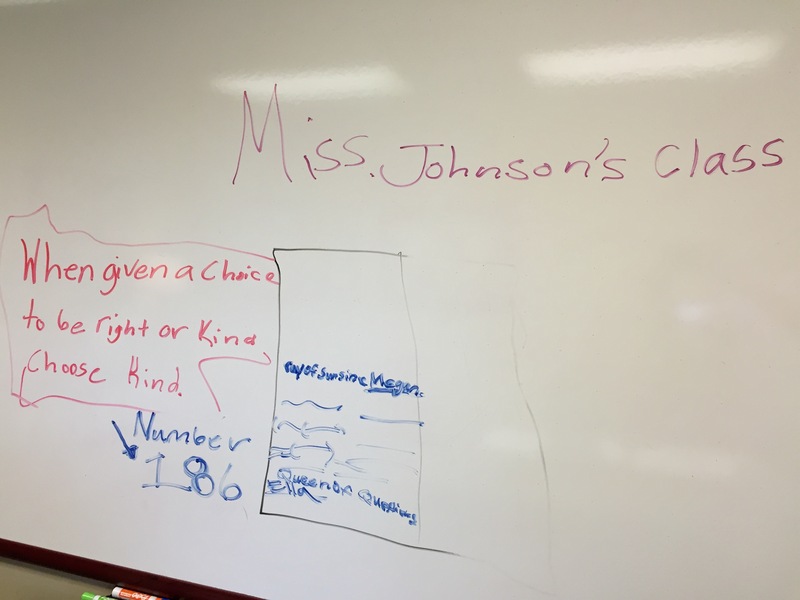 But if in public and at school, at least, she’s demonstrating enough kindness to win a class award and she can quote verbatim such solid wisdom, I’ll take it. I need to have that wisdom impressed on me regularly as well.